With the poignancy of Tell the Wolves I'm Home and the fraught tension of The Burgess Boys, Whiskey and Charlie is a captivating novel of brothers who have drifted apart-and the accident that will determine their future. Told as a seesaw of hope and fear, this novel explores the dark truths about what family really means to us. Whiskey and Charlie might have come from the same family, but they'd tell you two completely different stories about growing up. Whiskey is everything Charlie is not — bold, daring, carefree — and Charlie blames his twin brother for always stealing the limelight, always getting everything, always pushing Charlie back. By the time the twins reach adulthood, they are barely even speaking to each other. When they were just boys, the secret language they whispered back and forth over their crackly walkie-talkies connected them, in a way. The two-way alphabet (alpha, bravo, charlie, delta) became their code, their lifeline. But as the brothers grew up, they grew apart. When Charlie hears that Whiskey has been in a terrible accident and has slipped into a coma, Charlie can't make sense of it. Who is he without Whiskey? As days and weeks slip by and the chances of Whiskey recovering grow ever more slim, Charlie is forced to consider that he may never get to say all the things he wants to say. 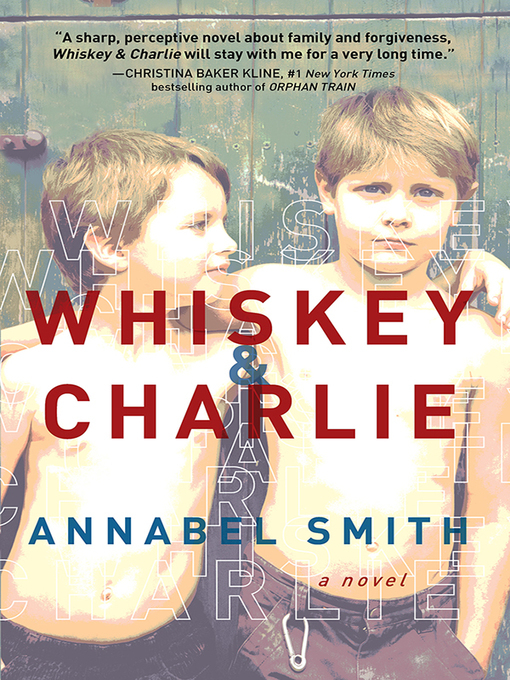 A compelling and unforgettable novel about rivalry and redemption, Whiskey & Charlie is perfect for anyone whose family has ever been less than picture-perfect.